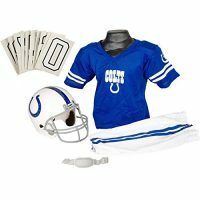 Children’s Dallas Cowboys Halloween Costumes. 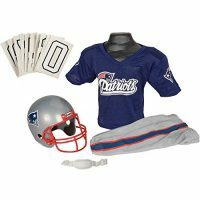 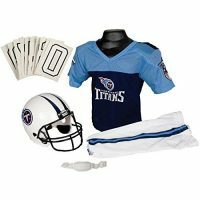 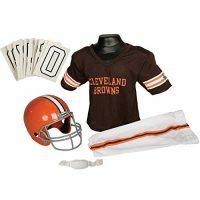 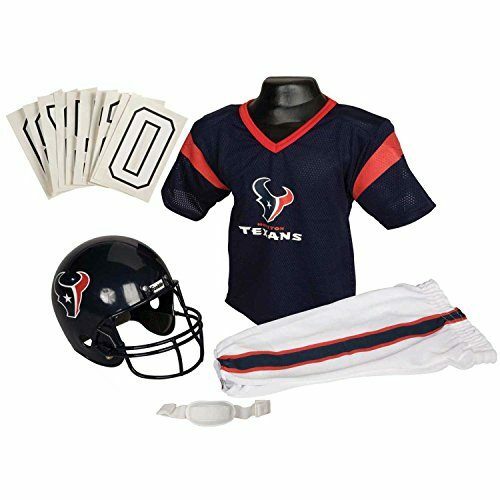 This costume kit comes with everything you need for a young child to dress up as a football player of the Dallas Cowboys. 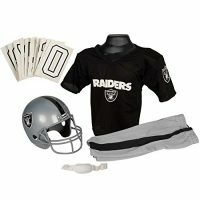 You get the team logo jersey, which includes an iron on number kit. 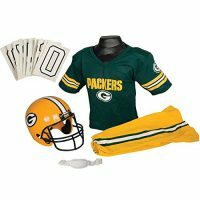 Make the jersey any number you like! 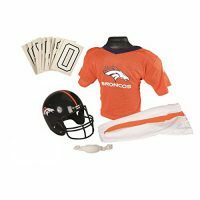 You also get a replica helmet with a chin strap, plus the grey football pants. 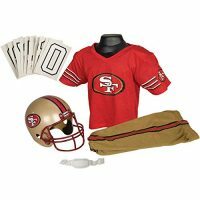 Add a pair of shoes for a complete costume kit for young children. 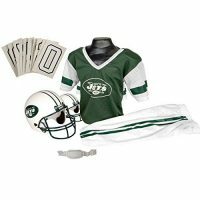 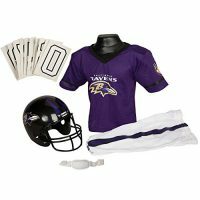 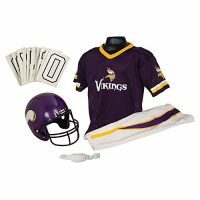 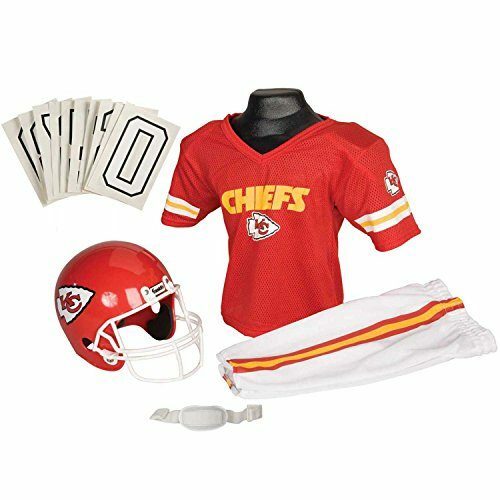 This youth uniform set is perfect for Halloween or playtime. 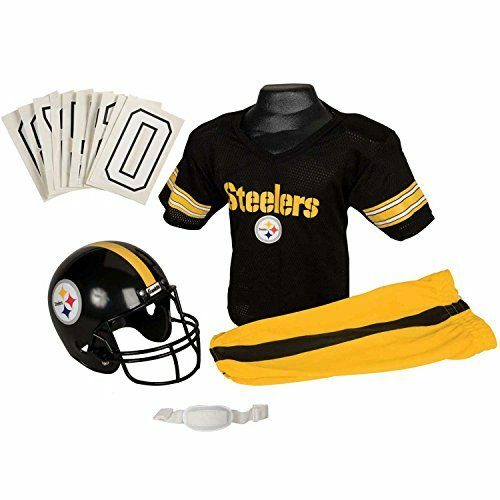 But it is not intended to be worn for actual football playing. 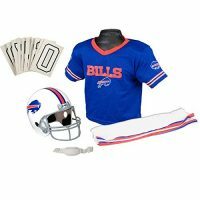 Add some shoulder pads for a more realistic look. 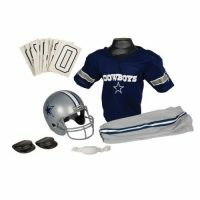 You will find fake shoulder pads below plus lots of other items to create unique Dallas Cowboys Halloween costumes for children. 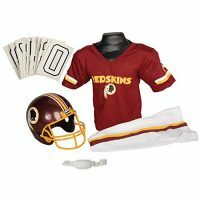 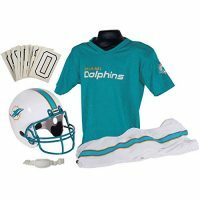 There are Dallas Cowboys jerseys in youth sizes, fan masks, knit beanie caps with barbarian beards, cheerleader outfits, face tattoos, helmets, fake shoulder pads and several other items that will make a great costume for children.